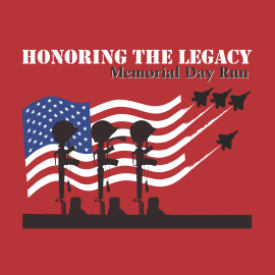 The Honoring The Legacy Memorial Day 5K Run/Walk seeks to honor the many who have given their lives in defense of our country. The run helps support Trail Life and American Heritage Girl Troops IL-0078 in the Belleville area in their efforts to promote patriotism, good citizenship, and a love for the military through the programs offered. Additionally a portion of the proceeds will be given to a combat-wounded veterans group in the St Louis area. These organizations all seek to honor the military and their commitment to our great nation. 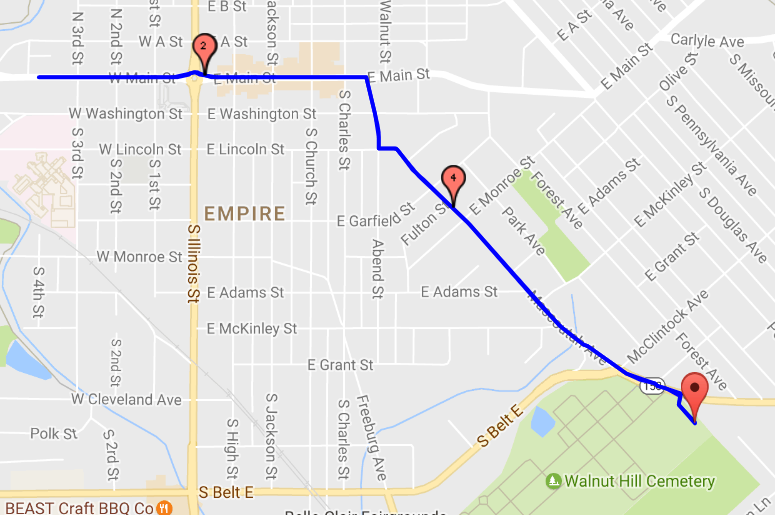 The course begins and ends at Laderman Park in Belleville, Illinois and traverses the Memorial Day Parade route in both directions. 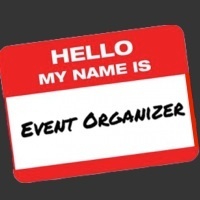 In-person registration also on Monday, May 27, 7:00-8:15am, before the race. The course starts at Laderman Park and heads north on Mascoutah Ave, turns west on East Main, continues around the fountain to between 3rd and 4th Street and then reverses direction back to Laderman Park where runners continue on a flag lined finish in the park for a total of 5 kilometers. After the race, runners may join the Memorial Day ceremony in the Walnut Hill Cemetery next to Laderman Park. There is parking available in Laderman Park. Good thoughts for cool weather! Please consider sponsoring this event! Memorial Day 5K for Trail Life and American Heritage Girls Troops IL-0078.